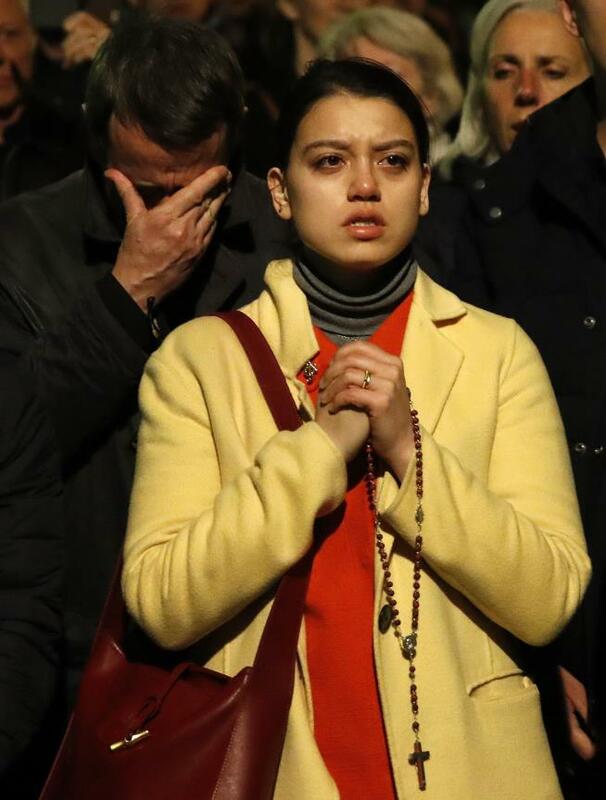 (Newser) – Crowds gathered late Monday night outside Notre Dame, singing "Ave Maria" and other hymns while the iconic cathedral burned. As the mourners sang and prayed, French officials said the building's towers have been saved, the AP reports. Crews were able to keep the flames from spreading to the north tower belfry, reported Paris fire commander Jean-Claude Gallet, who said that one firefighter was seriously injured, per CNN. Officials have ruled out arson and terrorism in the fire and are investigating it as an accident. The church's spire was undergoing a renovation project. The blaze is thought to have begun in the attic. Flames engulfed the wood-and-lead spire, which fell. Most of the roof fell next. By midnight, officials said firefighters were working to save the church's artworks. I think this is a no-brainer. Without a roof (at all), the cathedral is toast. The french can rebuild it no doubt, and will, given its tourist appeal. I hope the fake relics are safe! And apparently they did save Notre Dame by NOT following Trump's advice to do aerial water bombing, which would have knocked the whole structure over. President FakeFireExpert with his online certification from TrumpUrFired University sure doesn't know jackspit about anything. This is beyond tragic. I plan to ask my priest why God would let this happen. I can't wait to hear what he has to say.